Established 1954. Affiliated to the National Churches Trust. Patron: Her Majesty The Queen. You can keep up to date with news about Ride and Stride prior to the event by accessing our Facebook Page. Your pictures are especially welcome. After the event, tell us what you thought about the day. Which churches had the best grub. Would you recommend Ride + Stride to your friends? Suggestions for future improvements. We look forward to telling more people what an enjoyable day out it is and that they want to start planning for it well in advance... get training and get sponsored! RHCPT Trustee Richard Adams will again be producing the Rutland Calendar to raise funds for the Rutland Historic Churches Preservation Trust. Richard's calendar includes images of the beautiful countryside of Rutland alongside the attractions of the towns and villages and their annual events. You can purchase your copy of this year's calendar for £6.99 from Walkers Bookshop in Oakham and Stamford as well as other shops around the county. Read more about the calendar here. All our churches were open which is yet again a remarkable achievement particularly for churches like Stoke Dry which received only four visitors. About 130 people participated actively which is 5 down on 2015 but the same as 2013. We know everybody is getting more claims on their time and purses so we think that is a great result. 41 churches actively raised money compared to 42 in 2015 but they were not the same ones!. 7 churches dropped out and 7 came in. What is evident is that one person in a village can make a big difference. Greetham was re-energised by Sylvia Bland, who set up a team (Mud Sweat and Gears), raised lots of money and got great publicity in the Rutland Times. Belton like-wise was re-energised by Dr Ed Bates. Thank you and well done to both! Our website and social media campaign was more active this year. The new Facebook page (Ride and Stride Rutland) had 57 ‘likes’ and many more visitors. The electronic paper document distribution process introduced for the first time this year was generally a success and saved a lot of wasted paper. The number of participants was not affected so we will continue with that in 2019. 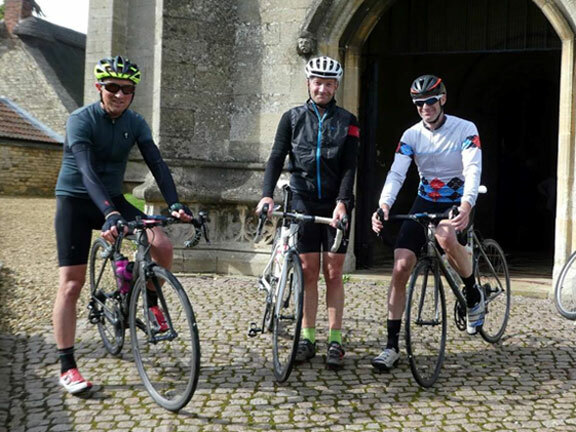 The most notable achievement was of course the trio, Ben Findlay, Geoff Beetham and Ryan Henry who cycled around to every church in Rutland. They started an hour early at 9 a.m. and finished, despite foul conditions, at 5.30pm. Equally notable was a solo ride by Jamie Bennett of Tickencote who achieved his personal goal of 60 churches in the official time period of 10 a.m. to 6 p.m. John Williams of Morcott continued as ever to defy his age and walked to 14 churches. The prize giving will be held in February 2018. At a presentation evening held at Barnsdale Lodge Hotel on 12th February 2016, Peter Lawson the chairman of the Rutland Historic Churches Preservation Trust announced that the 2015 Ride & Stride event around the county's churches and chapels had raised £22,000. Half of this money had gone to the churches nominated by those taking part and the balance would be distributed by the Trust as grants to churches requiring help with repair and maintenance work. He said that once again the outstanding efforts of all those who took part in this highly successful event would help to ensure that the churches of the county's towns and villages will continue to be well maintained for the benefit of church goers, residents and visitors alike. Over 500 people took part of which 140 were cyclists or walkers whilst over 360 people manned Rutland's churches. Only 4 of our 64 churches were unmanned and that was for technical reasons. A new feature was Starbursters teams who undertook to visit all 64 churches by dividing up the county. Three teams took part, one from Preston, one from Uppingham Methodist Church and a team of ten from Hambleton. The Davenport-Handley cup for the most churches visited by a cyclist was presented to a team of Ben Finley, Geoff Beetham and Ryan Henry from Braunston who cycled to 58 churches, only 6 short of the total, which is a new record. Jamie Bennett from Tickencote reached 56 churches and Chris Meacock from Whissendine reached 47. The Barnsdale Lodge award for the most outstanding walking achievement was presented to John Williams of Morcott who visited 19 churches and raised over £500 from 59 people. In 2015 we added a new category which we call Starbursters. Starbursters are a team of cyclists starting from a single place, such as their home church, with the objective that every one of the churches in Rutland is visited by one (or more) member of the team. See our Participants page for more details. 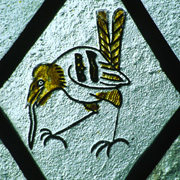 Below you will find a list of websites with further information on historic churches both nationwide and throughout Rutland.